In Richmond, CA police identified a mere 25 people causing 70 percent of the city’s gun violence. I learned these statistics were similar to ours in Miami. So I asked what I thought was a simple question. “If you know who these murderers are, why don’t you just arrest them?” The answer is not so simple. Witness are too terrified to testify so these people escape arrest and prosecution. So, no, the police can’t just arrest them even though they’d like to. In March, 1,400 members of People Acting for Community Together (PACT) asked officials to select one of three new gun violence reduction programs. These programs — Group Violence Intervention, Cure Violence, and the Office of Neighborhood Safety — have proven effective in other cities. The programs focus on the small number of individuals responsible for most of the violence. If we can’t put them away, we must turn them away from gun violence altogether. That is exactly what these programs do. They engage directly with these individuals. They provide an alternative to a self-destructive lifestyle and give them strategies to break the cycle of violence. Think about it. If a neighborhood has 20 violent perpetrators and a program can turn just 2 of them away from a life of violence, that’s a 10% reduction. We've never tried something like this in Liberty City, Overtown and Miami Gardens. The number of homicides due to gun violence isn’t changing there. It’s time to adopt a program that makes the streets safe for the preponderance of residents threatened by the violence of a few. 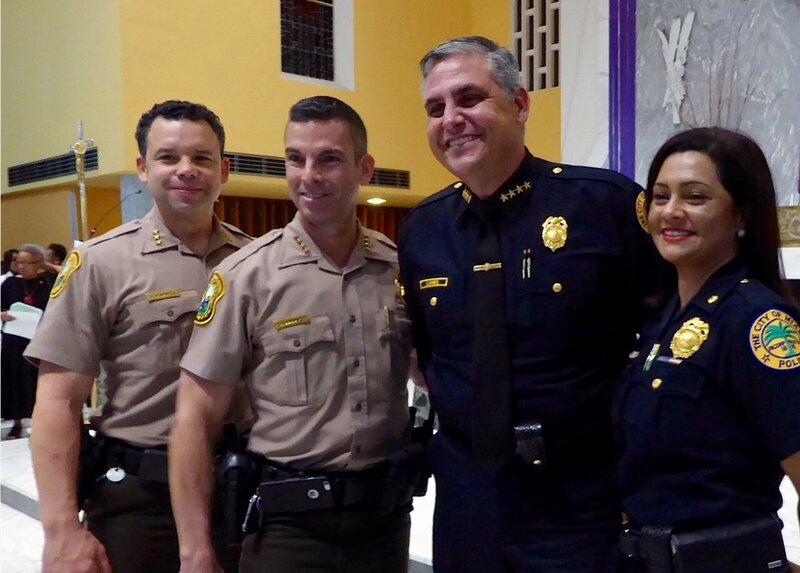 Miami-Dade Police Director Juan Perez responded to PACT's request. He announced that a request for proposal is being readied to select a gun violence intervention program. There is power in numbers my friends. When 1,400 people ask, it empowers leaders like Director Perez or Public Defender Carlos Martinez to push forward unique solutions. They know that the 1,400 people who asked for a new approach will be standing at their side to request necessary funding for implementation. I also am grateful for their leadership to help select a program they believe will work. I also expect the commissioners from Miami Gardens, Miami and Miami-Dade County to expeditiously fund the selected program. Lives depend upon it.